The bike sharing trend continues to pick up speed. Download an app, and you can take a shared bike anywhere. But what are the differences between various bike-sharing operators? The bike sharing trend continues to pick up speed. Every day, you can see colorful sharing bikes all over Shanghai. Download an app, and you can take a shared bike just about anywhere. But what are the differences between various bike-sharing operators? Sophie Wang and Joan Zheng have checked out four and are here to share their findings. 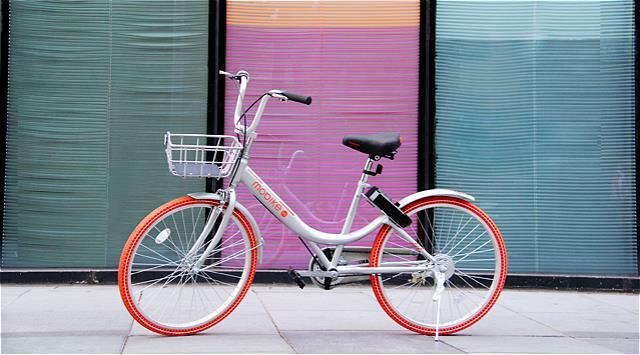 With its distinctive silver and orange color scheme, Mobike landed in Shanghai in April 2016. 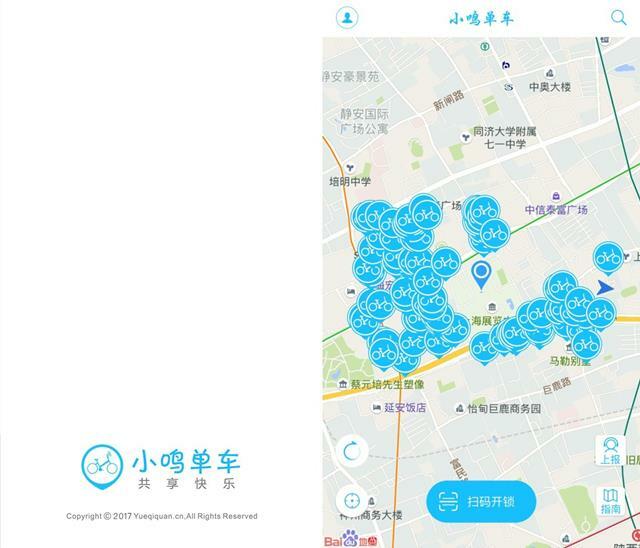 At the end of last year, 100,000 Mobikes had been placed in Shanghai, covering most of the city. Mobike has two types at present: the sport version and the lite version. The sport version weighs 25 kilograms, while the lite version weighs 17 kilograms. 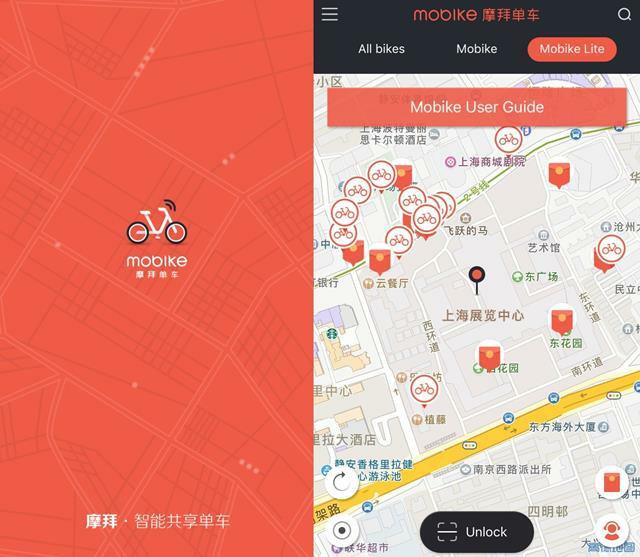 Usage: First, you need to download the Mobike app, register, pay a deposit of 299 yuan (US$43.30) and complete the real name authentication. Second, after charging money to your account, open the app to search for bikes, or look for bikes yourself on the road. Third, use the app to scan the QR code on the bike,and then you can open the lock. After finishing your ride, you need to park and lock it. Cost: The sport version costs 1 yuan per half-hour, while the lite version costs 0.5 yuan per half-hour. 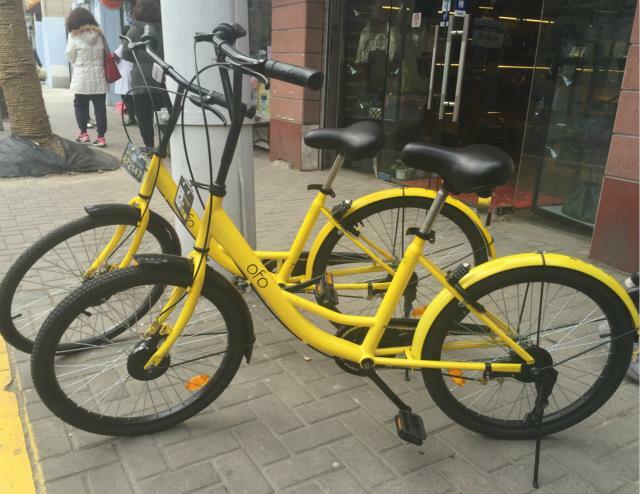 Since 2014, ofo has come to more than 22 cities nationally with more than 40 million bikes. There are now two kinds of bikes. One has bigger wheels, while other smaller ones. All of the bikes are yellow. 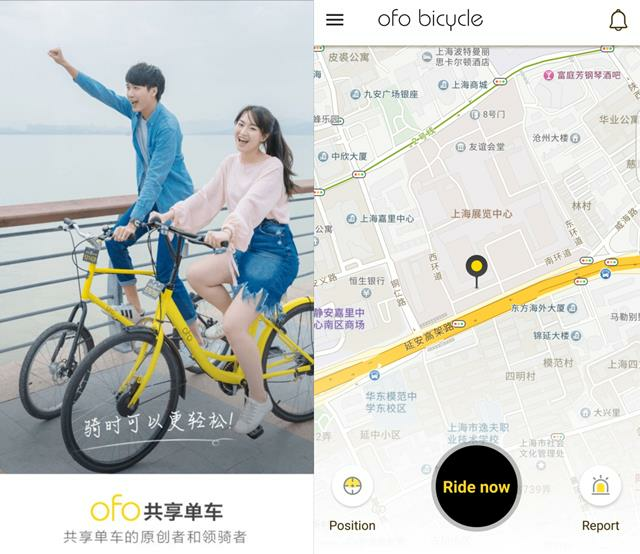 Usage: If you want to use ofo bikes, you need to download its app. 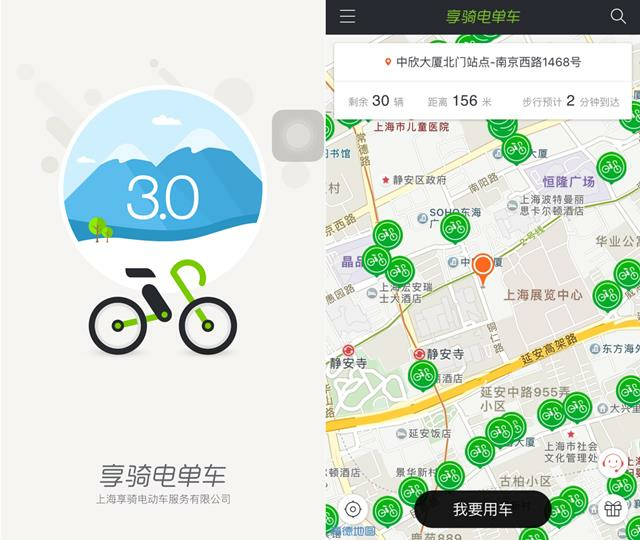 Enter your mobile number and pay a deposit of 99 yuan, and you can use the bikes. If your credit score on Alipay is more than 650, you don’t need to pay the deposit. The deposit can be redeemed at anytime. Foreigners need to send their names, ID numbers, nationality and ID card photos to support@ofo.so for review.Any bike you see can be used.There are now two kinds of locks:wheel locks and key locks.Tap the bike number into the app, and you can get the password. For wheel locks, you need to rotate the dials, find the correct number and then press a round button on the lock.For key locks, you need to enter the password and press the button under the lock. After you finish riding, you need to park and lock it. Cost: The price of the bike is 1 yuan per hour for normal riders, and 0.5 yuan per hour for teachers and students. Blue Xiaoming bikes use GPS positioning and intelligent unlocking functions. They landed in Shanghai in October 2016. 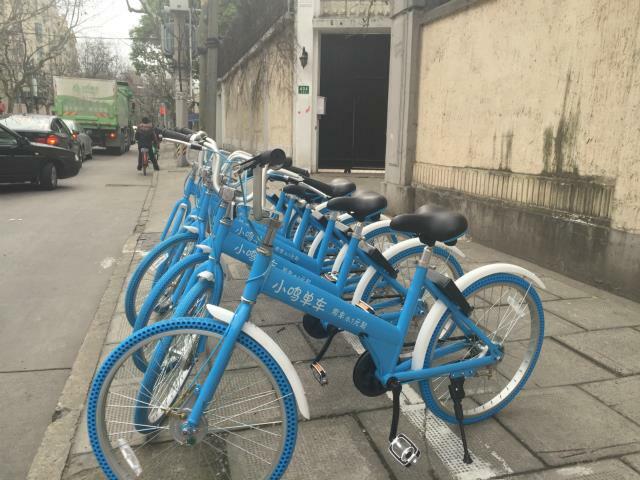 At present, around 20,000 Xiaoming bikes have been put into use in Shanghai, mainly in downtown areas. Seats are adjustable. Usage: First, you need to download the app of Xiaoming Bike, complete the registration, pay the deposit of 199 yuan (US$28.9) and conduct real name authentication. Second, book a bike nearby with the directions from the app. An appointment can be reserved for 20 minutes. You can also search for a Xiaoming bike on the road. Third, turn on the blue tooth feature on your mobile and then open the app. Scan the QR code on a bike body to unlock it. After you finish riding, lock the bike and click “Finish” on the app. Cost: The basic price is 0.5 yuan per half hour, but the price can be lowered if you recommend friends to the service. 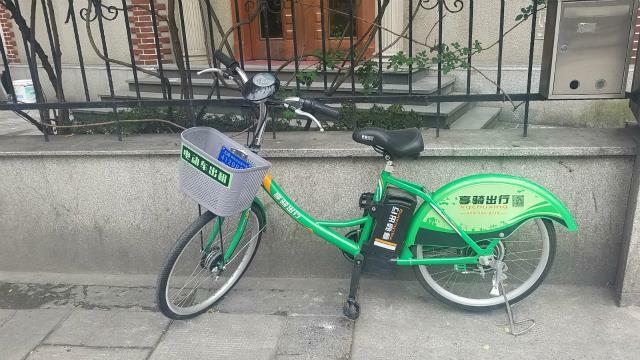 This is the only electric-bicycle sharing service in Shanghai. Set up in 2015, there are now about 4,000 appointed parking sites in Shanghai. Their bikes are green. The highlight of Xiangqi bikes is that they can be locked temporarily. While other bikes need you to pay money as soon as you unlock them, Xiangqi allows you to stop and go without an additional charge. Usage: If you want to use Xiangqi bikes, you need to download its app. The deposit is 299 yuan. Enter your mobile number, name and ID number, and then finish the certification. The deposit can be paid back anytime. All designated parking sites are shown on the app. Find a site and scan the QR code on a bike, and you can see the battery left. Pick a Xiangqi with enough battery to use. If the QR code doesn’t work, you can enter the code on the bike into the app to unlock it. All bikes need to be returned to designated parking sites. If you don’t do this, the app will deduct 150 yuan from your account. Cost: The price is 2 yuan for the first hour, and 3 yuan per hour for the following.